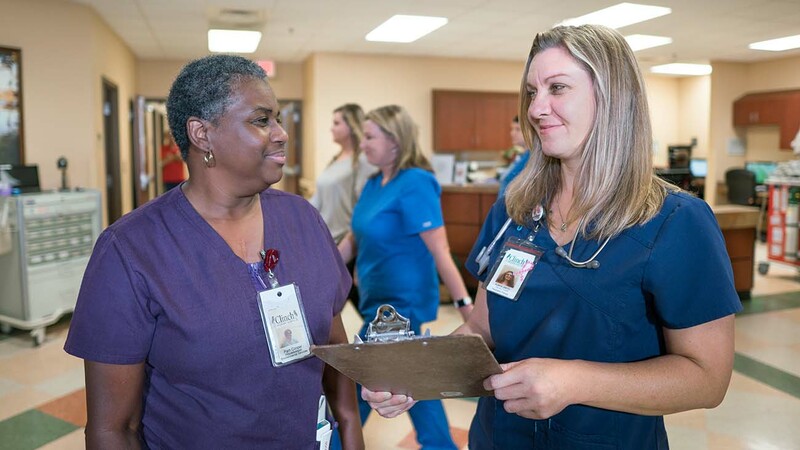 Clinch Memorial is a 25 bed critical access hospital, staffed with 24 hour nursing services to make your stay at our facility as comfortable and successful as possible. We strive for excellence in pain management and medication administration. We value the patients that visit our facility. After discharge, each patient receives a follow-up phone call from a nurse. The purpose of this service is to keep you as a patient at home where you prefer. The call will include a review of medications, ensuring you have received all prescriptions and reassess any additional needs required by the patient. Click here to learn more about our Swing Bed Services. Our Congestive Heart Failure Clinic is operated from within our facility with the main goal to further educate our community of this condition and aid in preventing reoccurrences and subsequent hospital readmissions. Our services including providing our CHF inpatients with scales upon discharge and daily follow-up phone calls to monitor weight gain. Staff works closely with our local physicians and makes appropriate actions when necessary.